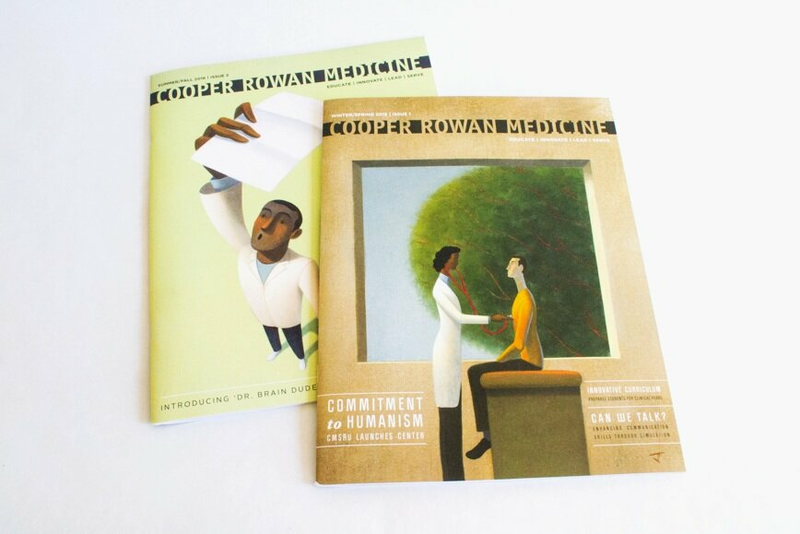 Brand and design a semi-annual magazine for Cooper Medical School of Rowan University. Creating a magazine from scratch was no easy task. First, a successful masthead needed to be established. Rather than using photography on the covers, custom illustrations were hired out to a strong graphic illustrator. Using client-supplied content and photos, every inside spread was designed considering both visual appeal and readability.